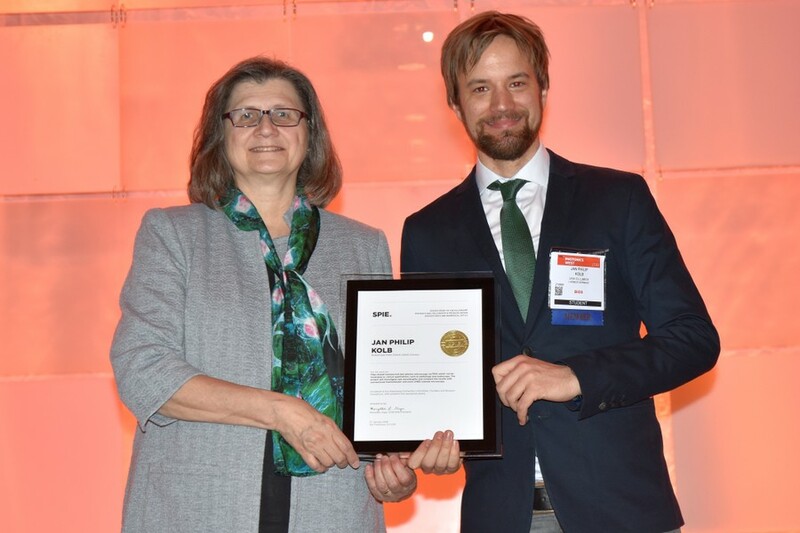 Jan Philip Kolb from the group of Robert Huber receives the Franz Hillenkamp Fellowship from the SPIE. 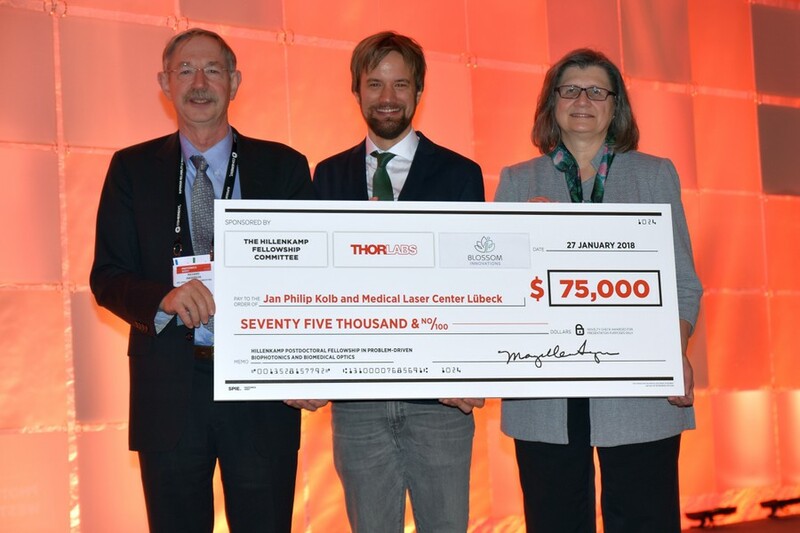 Thus, together with Haley Marks of the Wellman Center for Photomedicine, he is the first to receive this scholarship in honor of the pioneer of the use of lasers in medicine. The $ 75,000 annual prize supports interdisciplinary, problem-oriented research and provides opportunities to put new technologies into clinical practice to improve human health. The scholarship is sponsored by contributions from the Biophotonics Community and the SPIE. In addition, this year a second scholarship was made possible with the support of the award committee, Thorlabs and Blossom Innovations. Thanks to the grant, Jan Philip Kolb will be able to work on fiber-based two-photon microscopy based on nanosecond pulses for his time as a postdoctoral fellow. The emphasis will be on research into possible applications in histology and endoscopy. Further information can be found in the SPIE press release.